Sam had no choice but to farm his land. The HeroRATs found 7 landmines in his fields. My name is Sam Leav, I am the Deputy Village Chief for Khnar Phtuol, near Siem Reap, Cambodia. Today I am a happy man. APOPO and their partner CMAC erected a sign to say that they have cleared another minefield near our community. They have been here since March 2016 with their amazing landmine detection rats and they have cleared away all the dangerous explosives that have caused us terror for so long. The fields near us are where we grow our rice and cassava, and raise our livestock. Our children play in them or walk through them to get to school. We have to use them because we have no choice. We have to feed ourselves. We know that landmines exist in them because of past accidents with our precious cows and we avoided those areas, but you never know for sure. When we first saw the rats we were very surprised at how big they were! We thought they would be like our little rats that get into our seed store and the trash. We went to see them work one day and it was incredible how fast they were. In the end, APOPO found 7 landmines in the fields closest to my house. They were in places that we have ploughed and planted for the last 20 years. How we have not had an accident I don’t know. We are very shaken about this. I was in the war myself for 15 years. I was in government forces fighting the Khmer Rouge. It is a time I want to forget. It was frightening and I had bad experiences. But now we are all overjoyed. We can plant without fear, play games and rear our goats and cows over all the land, without having to worry. Thank you APOPO and CMAC! 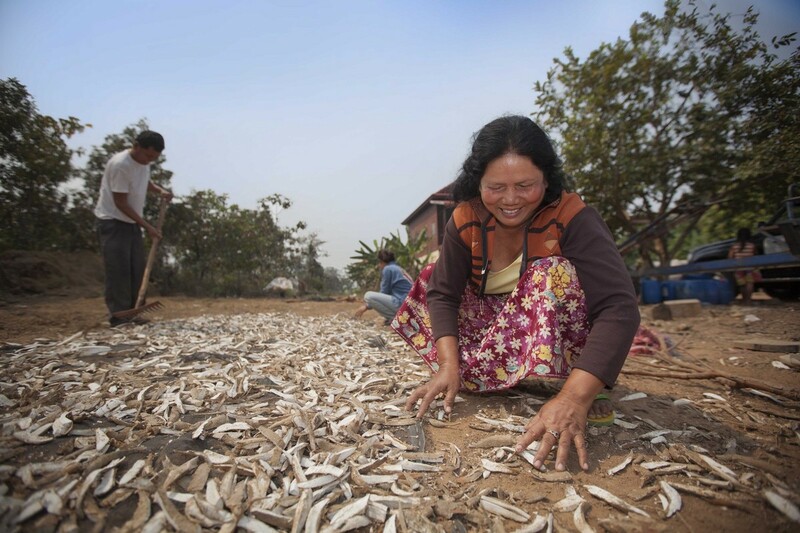 Clearing minefields saves lives and allows struggling communities to thrive.